Metso NW300HPS™ Rapid™ crushing and screening unit features Nordberg® HP300™ cone crusher and a big Metso CB2060-4M™ four deck inclined screen in a single wheelmounted platform. 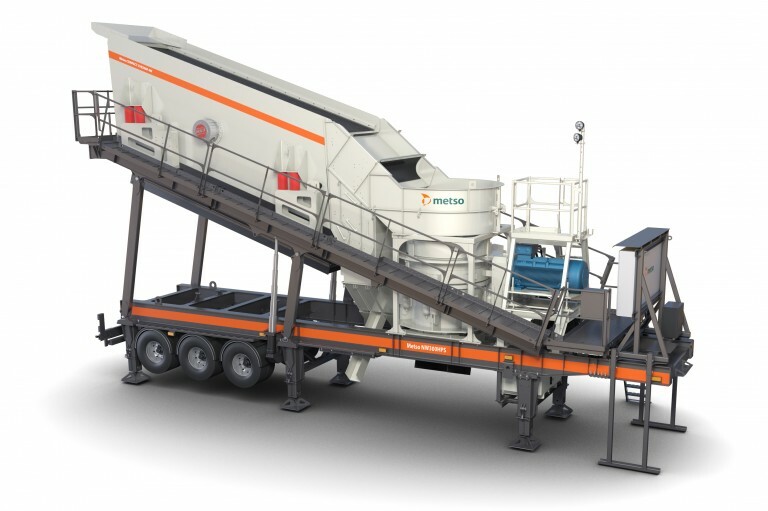 Metso NW300HPS Rapid crushing and screening unit can be used for secondary and tertiary crushing and screening in aggregates production, or as a standalone unit for pre-crushed material. In a multi-stage crushing process the plant is capable to produce up to seven calibrated end-products. Material is fed by separate belt conveyors from NW Rapid primary crusher or separate feed hopper to the cone crusher or the screen. Oversize material is taken from the screen to the cone crusher and closed circuit conveyors return it back to the screen, and the screened material is divided to the product conveyors.